Make sure you find the right advertising vehicle for your demolition derby event when you print Crash Zone Posters and advertise your motorsport event in advance. 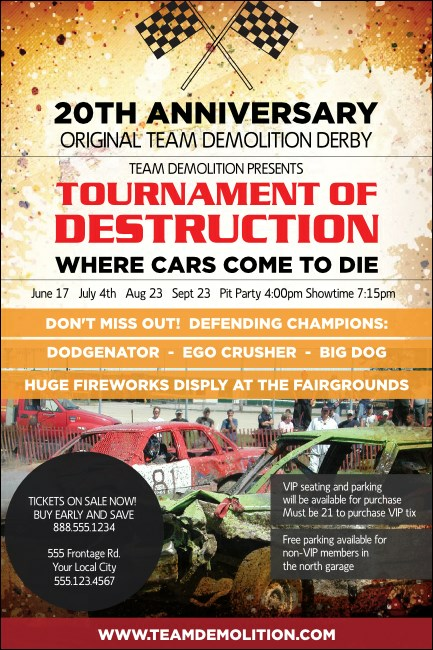 Get great guest attendance for your event with Posters that feature two half-demolished derby cars and a speckled orange background design. TicketPrinting.com helps keep your advertising action-packed.